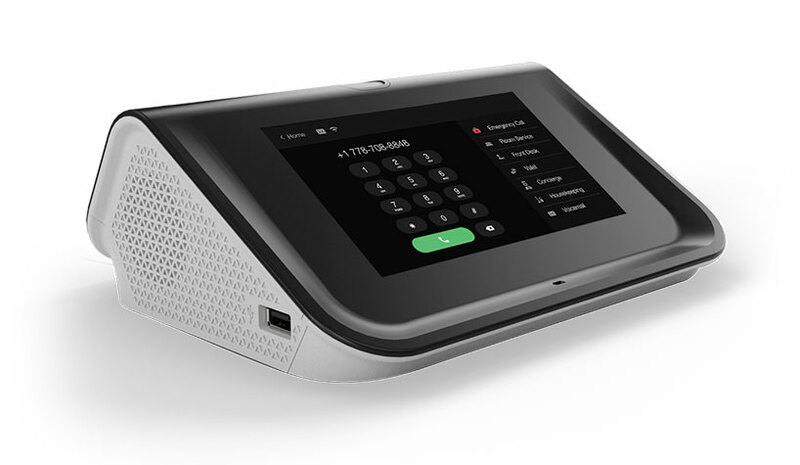 GrayMatter Networks, provider of the BrainBox intelligent VoIP system, is integrating with a hotel voice platform with Roxy, the speech enabled device designed specifically for hospitality that provides fully customizable in-room concierge services. This partnership will enable hotels to consolidate its in-room devices and make calls directly through Roxy’s voice-activated virtual assistant device. Speech enabled device and a PBX system enables hotels to streamline in-room technology strategy. Strategy Analytics reports that in 2017 the smart-speaker market grew 300% and that it’s projected to continue growing as more and more consumers integrate these new technologies into their lives. Roxy provides an easy-to-use web portal which enables hotels to develop their own custom personas representing the brand, information and services. Phone functionality can be added through a software update. Guest requests spoken in the hotel room can now be routed through Alice to the appropriate member of staff for completion, thanks to the partnership between Alice and Volara. With the Alice-Volara integration, when the guest gives an “Alexa” voice command, the guest’s request automatically syncs with the Alice task management platform. All commands can be configured to a hotel’s brand, ensuring guest satisfaction and enhanced staff operations. Guests can now request an item, schedule a service or check on the status of a request. Decreased friction: The Amazon Echo is a hands-free speaker controlled by a human’s voice, meaning guests no longer need to pick up the phone or wait on hold to get the service they want. Increased efficiency: Volara’s software runs atop of the Amazon Echo and integrates with the Alice operations platform. Guest requests are routed immediately from the guest’s voice to the appropriate member of your staff, with no manual entry. An enhanced guest experience: With Alice and Volara, wait time to received amenities and hotel information is reduced. KeyPR, the technology company whose enterprise cloud platform specializes in guest experience and hospitality management, has partnered with The Wall Street Journal to deliver content to hotel rooms worldwide, via KeyPR’s platform. The Wall Street Journal app is now live across KeyPR’s affiliate hotel and luxury residence network. The Wall Street Journal and hotel operators receive reports with usage and behavioral data, which can be used to understand what types of content performs well with its customers, to continually improve its service offerings. Assa Abloy Hospitality has integrated its Assa Abloy Hospitality Mobile Access keyless entry solution with OpenKey. Assa Abloy Hospitality and OpenKey have implemented mobile key-based guest access at multiple properties across the globe, including The Cow, Victoria Inn Winnipeg Hotel, The Lodge at Kiln Creek, The Astro Motel, Pier House, The Ashton, Brookstreet Hotel, Secrets Silversands Riviera Cancun and Avista Resort. Operating through secure Seos technology, Assa Abloy Hospitality Mobile Access delivers a digitally encrypted key directly to a guest’s smart device, which can be accessed through OpenKey’s mobile application at certain properties. Instead of employing the traditional front desk check-in process, guests have the option to check in remotely and enter their room immediately upon arrival by swiping their personal smartphone against a mobile access-compatible lock. Assa Abloy Hospitality will offer its Assa Abloy Hospitality Mobile Access solution to additional hotels by integrating it into OpenKey’s guest-facing mobile application. OpenKey’s solution offers the ability to be fully customized to each specific property implementing Assa Abloy Hospitality Mobile Access, allowing hotels to offer its guests unique experiences based on their specific brand preferences and on-site offerings.